Although leaders of Indian fishermen and the Indian Ministry of External Affairs have given a positive spin to the third round of talks between the Sri Lankan and Indian fishermen held in Chennai recently, Lankan fishermen told Express that they had only agreed to consider the demands, not accept them. While Indian fishermen said that amicability and trust have been added after Mahinda Rajapaksa was toppled by President Maithripala Sirisena, the island nation’s fishermen representatives say that they would put these demands before their colleagues and at the high-power meeting convened by Sirisena at Colombo on April 10-11. Following this, they would come back with a consolidated view on the various issues brought forward by their Indian counterparts at a meeting to be held in Colombo in mid-May, they say. The bright side of the Chennai meeting then, was that the Sri Lankan side did not reject the Indian side’s Seven Point Set of Proposals outright. One of the major sticky points between the fishermen of both nations is the use of trawler boats by the Indian side — two proposals in the seven-point list relate to these ‘destructive’ boats that scoop the sea bed clean of marine life. According to the proposals accessed by Express, Indian fishermen have agreed to give up trawling in Palk Strait in the next three years. They had initially said they would abandon the practice in five years. However, they say this requires huge investment from Centre and State to provide alternative livelihoods for the community. One of the most viable alternatives at present is deep sea fishing. For this, the Tamil Nadu government has subsidised the cost of deep sea vessels by 50 per cent — each one costs about 60 lakh. In addition, former Chief Minister J Jayalalithaa has asked for Rs 975 crore for three years from Prime Minister Narendra Modi for deep sea fishing. K Rajachandran, President, Sri Ambal Fishermen’s Cooperative, Karainagar, Jaffna, feels that three years is too long a period to allow bottom trawling even if the Indian side does not use destructive nets. “By the end of three years, Sri Lankan waters will be completely denuded of fish and other marine resources,” he says. S P Anthonymuthu, advisor, Indo-Lanka Fishermen’s Welfare Forum, concurs. There ought to be a planned phasing out, with short term and long term plans, he says. However, the Lankan fishermen agree that converting trawlers to deep sea fishing vessels is the way forward, but say the process should be expedited. Another point on the list is that Indian boats should be allowed to fish in Palk Strait for 83 days a year for three years. While Tamil Nadu has been seeking restoration of traditional fishing rights of the State’s fishermen, including unhindered fishing in Palk Strait, Lanka’s fisherfolk see even this as too long a time and say that the traditional fishing rights claim is something to be sorted out at the government level. 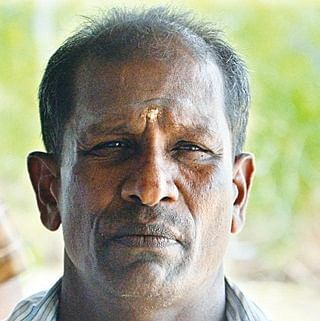 Reflecting the distrust still prominent among the Lankan fishermen, Emiliyanpillai alleges, “They keep going back on their word. For instance, certain kinds of nets are banned in India itself, but many continue to use them here.” Shooting off a warning, Anthonymuthu says that Lanka is set to amend its Constitution to dilute the powers of the Executive President, after which the President will not be able to release Indian fishermen as easily as he has been doing so far. “Therefore, Indian fishermen will be well advised not to cross the IMBL,” he says. The proposals also aim to fully implement the ban on purse seine and minnow seine fishing nets. Green activists in TN suggest that the vessels carrying these nets shouldn’t be allowed to leave the harbour. Though fishermen have agreed to stop using them, the Lankans are still skeptical. “We will wait and see. The proof of the pudding is in the eating,” points out A Emiliyanpillai, president, Jaffna District Confederation of Fishermen’s Cooperatives. In sum, the seven-point set of proposals put forth by the TN fishermen is the starting point for some hard-nosed negotiations. That the Lankan side agreed to consider it is in itself a indication of possible political will to look for solutions. The path to tranquility on the Palk Straits can still be choppy. We are keeping our fingers crossed. I: Will provide relief, but will Indian and Lankan governments abide by this?